Dr. Padachey received her Bachelor of Science degree (Neurobiology) from McGill University prior to receiving her Doctor of Dental Surgery from the University of Toronto in 1993. She was selected to complete a dental residency at the Hospital for Sick Children in Toronto and practiced as a general dentist for four years before completing her specialist Diploma in Endodontics at the University of Toronto in 1999. Dr. Padachey has taught endodontics at both the post-graduate and undergraduate levels at the University of British Columbia and the University of Toronto. She is active in dental continuing education and continues to lecture and provide hands-on training to dentists throughout Canada and the United States. She maintains a successful multi-practitioner endodontic practice in Victoria, BC Canada that was established in 1999 and offers a complete range of microscopic endodontics and surgery. Dr. Padachey is a Fellow of the Royal College of Dentists of Canada, a Fellow of the College of Dental Surgeons of British Columbia, member of the American Association of Endodontics, the BC Society of Endodontics, and the Victoria & District Dental Society. Dr. Padachey is the President of the Canadian Academy of Endodontics. Dr. Padachey is from Toronto and spent her younger years as a National level competitor in Rhythmic Gymnastics before going to university. She is an avid adventurer, and enjoys spending her free time being active with friends, family, and in nature. Her favourite interests include skiing, yoga, surfing, food & wine. 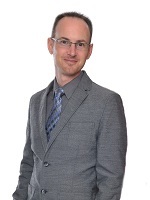 Dr. Jeff Hall graduated with his Doctor in Dental Medicine from University of Saskatchewan in 2003. He practiced with the Canadian Forces Dental Services from 2003 to 2011 and provided dental coverage for the Canadian Forces in Whistler during the 2010 Olympics. He gained diverse experience at many other bases through out Canada and provided humanitarian dental treatment with the United States Navy in Southeast Asia, including Vietnam and Cambodia. In 2013, Dr. Hall completed his specialist certificate from the Postgraduate Endodontic program at Nova Southeastern University in Fort Lauderdale. He is a fellow of the Royal College of Dentists of Canada and a member of the American Endodontic Association. Dr. Hall has been practicing in Victoria, BC since 2013 and is proud to be offering his expertise in endodontics and microsurgery at Victoria Endodontics.